It was a performance of the season for the Invicta Dynamos on Saturday night as they overcame the title challenging Peterborough Phantoms with a penalty shot victory in a thrilling encounter at Planet Ice, Gillingham. The script was well and truly ripped up in Gillingham as the visitors came to Medway expecting to blow away the Kent side, much like they’d done so just six days before. 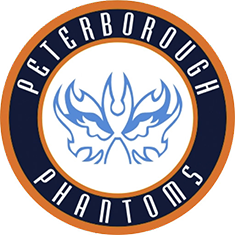 After the 15-0 loss in Peterborough (revised to 5-0 due to the Dynamos’ insufficient numbers – just eight players in all), it was anticipated that the Phantoms would come to Planet Ice expecting more of the same, whilst challenging for the league title. However, Kevin Parrish’s side clearly hadn’t read the script and came away with only their fourth win of the campaign. Going into the game, Parrish was able to bring back the likes of Callum Best, Brandon Miles, Lewis English, Jake Stedman, Louis Colvin and Owen Dell with the sextet having all missed the game in Peterborough the weekend before. Buoyed by having more options in which to choose from, despite missing the likes of Joe Allen, Harrison Lillis and Luke Thirkettle, the Dynamos came out of the traps quickly. 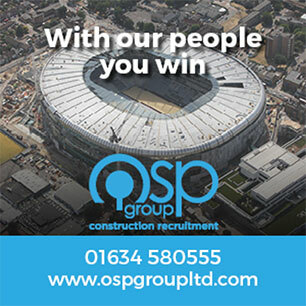 It took less than two minutes for the scoreboard to be troubled as Arran Strawson fired home to give the home side an unlikely lead. If that wasn’t enough, it was 2-0 in under seven minutes when Owen Dell, who’d been the provider for the first goal, polished off a great move involving Anthony Leone and Matt Foord. The Phantoms weren’t to just settle for second best though and they tried time and time again to find their way past Conor Morris in the Dynamos goal, without success. One man that clearly found Morris in frustrating form was former Mo, Martins Susters, with the Phantoms man to be the pantomime villain of the evening. At 2-0 going up going into the 2nd period, the Dynamos fans were then in dreamland in the 28th minute when Jake Stedman tipped home an English shot from the blue line. Two frustrating penalties were to follow for the Mos, the first given to Conor Morris for allegedly pushing the goal off, with referee Blaine Evans also penalising coach Kevin Parrish for stepping onto the ice to help deal with the injured Strawson, despite being the club’s official and appointed first aider. Strawson’s night was to be over with a leg injury, whilst the Dynamos had to show real character to once again successfully defend a powerplay. Dreams of a Dynamos win seemed to have become a reality when they made it 4-0 in the 45th minute – Leone and Foord combining once again to set Dell up for his second of the night. Those dreams were soon shattered though and within fifteen minutes the score was level once again. Ales Padelek (47th minute), Scott Robson (49th minute), James Ferrara (54th minute) and Petr Stepanek (also 54th minute) bagged the goals to take the game into overtime and the Dynamos fans were fearing the worst as it went three on three for five minutes. Well, that’s the way it should have been, but the Phantoms were given an extra man when Foord was penalised for reacting to a slash from Susters. Despite the numerical disadvantage, the Dynamos held on to take it to penalty shots. With just three shots each needed to produce a result, it was little wonder that this game was to go beyond that. The record books will show Susters had Phantoms’ first effort saved, Dell missed the Dynamos’ first attempt, Stepanek then scored for Peterborough, Best levelled for Invicta, Padelek made it 2-1 to Phantoms only for Ondrej Zosiak to take it to sudden death slamming past Jordan Marr in the Peterborough goal. Zosiak was charged with taking Dynamos’ fourth penalty shot, as the sides rotated who went first, and despite being sudden death, he couldn’t repeat his previous effort, seeing it saved by Marr, only for Conor Morris to keep his side in it, saving from Padelek. Best was to score Invicta’s fifth attempt only for Stepanek to make it 3-3. With the pressure well and truly ramped up, Colvin stepped up to make it 4-3 to the Dynamos and just seconds later Morris was the hero of the hour, putting Padelek off enough to see the Phantoms man strike the bar. Cue pandemonium in the rink as the players and fans celebrated. In the end, the scoreline will show that it ended 4-3 on penalty shots to the Dynamos after an epic 4-4 tie, but it won’t tell you about the character, desire and passion shown by a side that’s tried and failed many times before through a testing campaign. With a visit to Streatham on Saturday night to come next for the Dynamos, they will end their league campaign with a home tie against Basingstoke Bison on Sunday evening. After this performance, who knows what will happen, but it bodes well for the future for a Dynamos side that seems set to be in a revamped league next season.